As of October 17, 2018, non-medical cannabis became legal within Canada in all of its territories and provinces. Each province and territory do have certain guide lines and by-laws for when it came legal, and much of this is to prevent marijuana from getting into the hands of children and teens. Within Manitoba, someone who wants to use cannabis must be 19 years old, and can only buy from a licensed retailer. Other regulations in the province include only 30 grams can be carried at a time; an individual is not allowed to grow cannabis at home, and a person is not allowed to operate a vehicle while under the influence. Much of the regulation is governed by the Cannabis Act put in place by the federal government, but local police and RCMP will enforce certain laws such as cannabis being sold to minors, growing cannabis at home, and where someone is allowed to smoke marijuana. Only licensed and private retailers in Manitoba are allowed to sell cannabis, and will sell cannabis that is supplied by the Manitoba Liquor and Lotteries, and the Liquor, Gaming and Cannabis Authority of Manitoba will regulate the cannabis industry in the province. Much of this is ensuring that all licensed companies comply with all the regulation set forth. Within Manitoba, cannabis and alcohol will not be sold together, and the retail locations will be situated across the province, including within the First Nations communities. The province of Manitoba will ensure public safety and awareness, and work to ensure that children and teens do not have access to cannabis. Currently, there is six Manitoba First Nations that have made formal partnerships and arrangements with companies selected as provincial cannabis retailers. The First Nations communities in the province do abide by the same rules and regulation as other cannabis retailers. What are the risks with legal cannabis? As with any type of narcotic drug, there are certain inherent risks involved with using and many of the risks with cannabis are the same currently that it is legal, except it will be more accessible now. Cannabis or marijuana can become addictive, and chronic users of the drug will experience some type of withdrawal symptom when they abruptly stop using. Some of these withdrawal symptoms include irritability, difficulty sleeping, and anxiety, and many stats of shown that a dependency for cannabis can happen among 10 percent of cannabis users, and people are using the drug every day will certainly increase their risk for dependency. The early use of cannabis, especially as a child or a teen, because the brain is still developing will increase the risk for anxiety and depression, learning problems, and other mental health issues, and early use of cannabis will also increase the risk for a dependency. The notable risks with abusing cannabis have not changed now that it has become legal, but now the drug is much easier to access for adults, there is a greater risk for abuse. Impaired driving is one of the biggest concerns that local law enforcement has, and using cannabis while operating a vehicle will increase the risk for a traffic accident. Cannabis should be treated just like alcohol, and should not be used if a person is intending to drive or operate any type of vehicle or machinery. It is illegal to operate a vehicle while impaired by any drug, and most impaired driving laws within each province will stiffen up. The province of Manitoba is also encouraging people to only buy cannabis from licensed retailers, if a person chooses to use the drug. The message is that street or black market cannabis will offer no quality control regarding strength or purity, and of course the money is going to support illegal activity. How to get help to treat a cannabis addiction? Within the province of Manitoba are numerous types of drug treatment options, support services, helplines, and counseling centers to help addicts and their families. Persons that are addicted to or dependent on cannabis can reach out to the youth addiction's centralized intake services or the Manitoba Addictions Helpline. Drug treatment for a cannabis addiction can be done at either an inpatient or outpatient drug rehab center. Most cannabis addictions are often part of a larger drug problem that does involve other street drugs, alcohol, or prescription drugs. The rehabilitation process is important, and many people do not seek out help because of a certain stigma attached to being addicted to drugs. 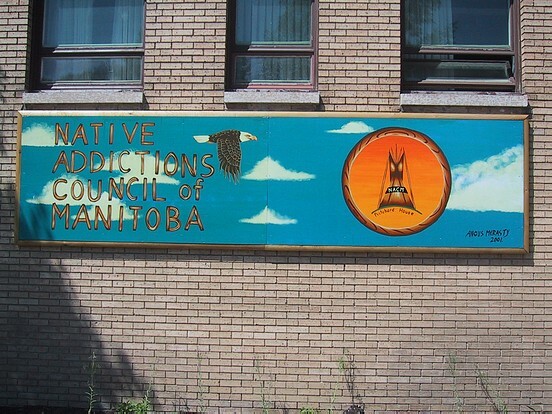 There are also many stigmas attached to the First Nations communities regarding addiction, and many different resources are available to persons of the First Nations in Manitoba. Drug addiction can spiral out of control easily if the right help is not gotten right away, and many addicts continue to use drugs well within their adult life if they do not get help when they are younger. The information below will help you on how to find outpatient rehabilitation center for Cannabis addiction in Manitoba. The list could be incomplete, so if you have any questions, please don't hesitate to contact us at 1-877-254-3348.